"Excuse me, sir, when do the elephants arrive?" This is the moment I came up with the hashtag #fivestarproblems. 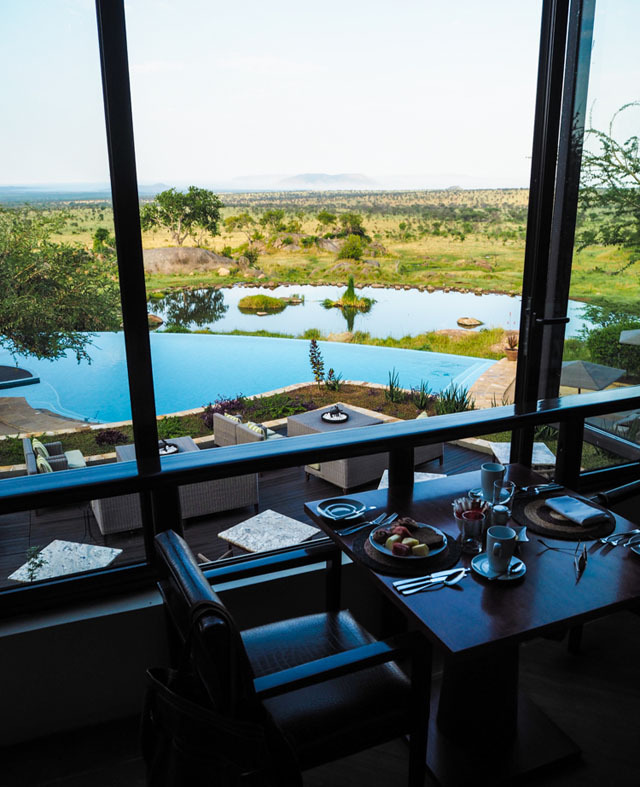 We were sitting by the pool at The Four Seasons Serengeti and a guest, who had just checked in, was eager to witness the arrival of the famous elephants at the Four Seasons Watering Hole. 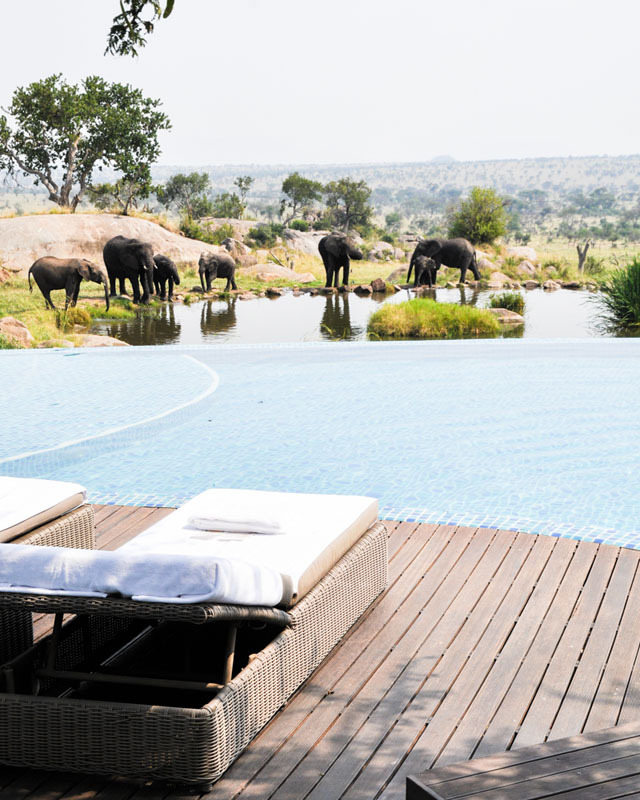 The waiter informed the guest that the television screen in her room would alert her when the elephants were approaching the pool. But alas, the guest in question would not have to wait long. 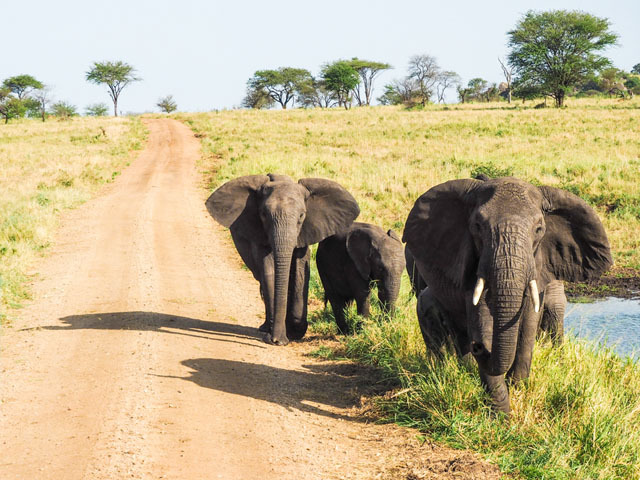 Before the beautiful and gracious waiter could finish his sentence, a line of elephants emerged, stage left, as if the Four Seasons had gotten the memo that a guest was unhappy with some element of their trip. 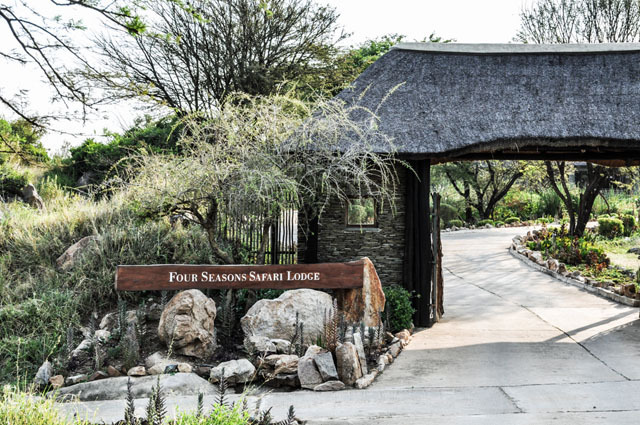 This is the Four Seasons way, of course- no one is ever allowed to have #fivestarproblems. They just don't exist here. 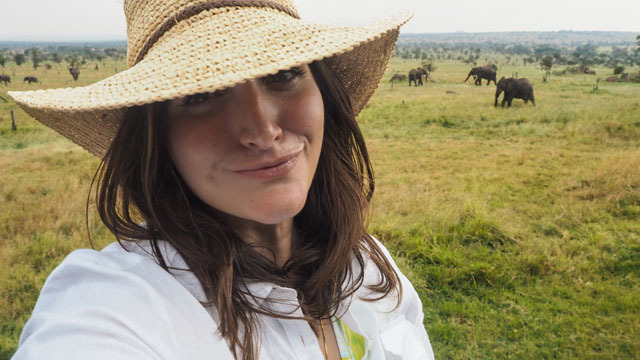 The woman's face said it all as she witnessed these beautiful creatures emerging from the plains of the Serengeti. In fact it made me chuckle, as just days before, upon my arrival, I'm pretty sure I made the same exact face. 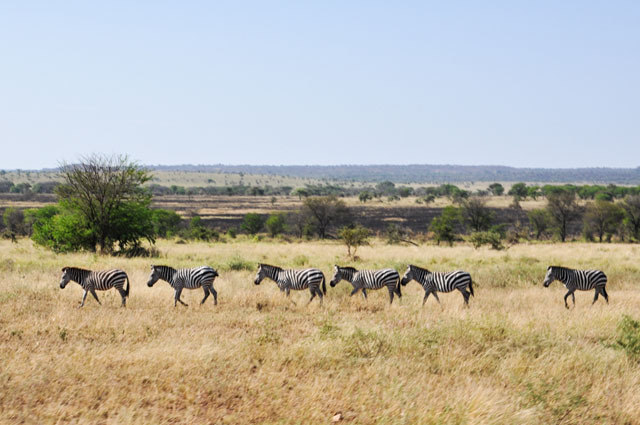 You can always spot the newcomers at the Four Seasons Serengeti. There is a magic here that presents itself in such a way that, as humans, we are unable to mask our disbelief. 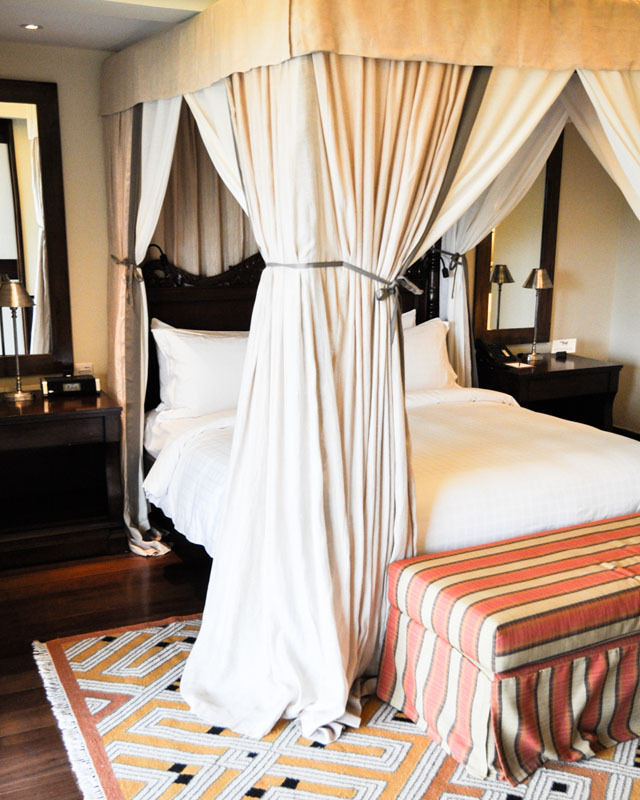 For four nights I called The Four Seasons Serengeti home. Of course this was no home I'd ever expected to have in my lifetime. If you had told me when I was a young one that I'd be resting my head at night here on a balcony - with open access to the Serengeti, an infiniti pool's lapping water lulling me to sleep and stars so bright I was sure Africa had some special arrangement with the heavens - I would have told you to keep dreaming those big dreams. 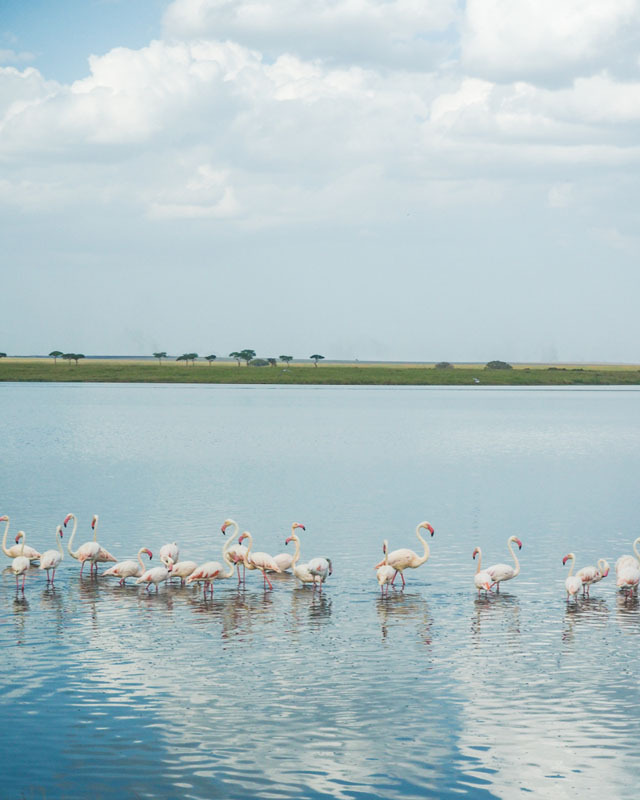 During the daylight hours we began by fueling, with a monstrous buffet breakfast at the Four Seasons, and followed with safari. 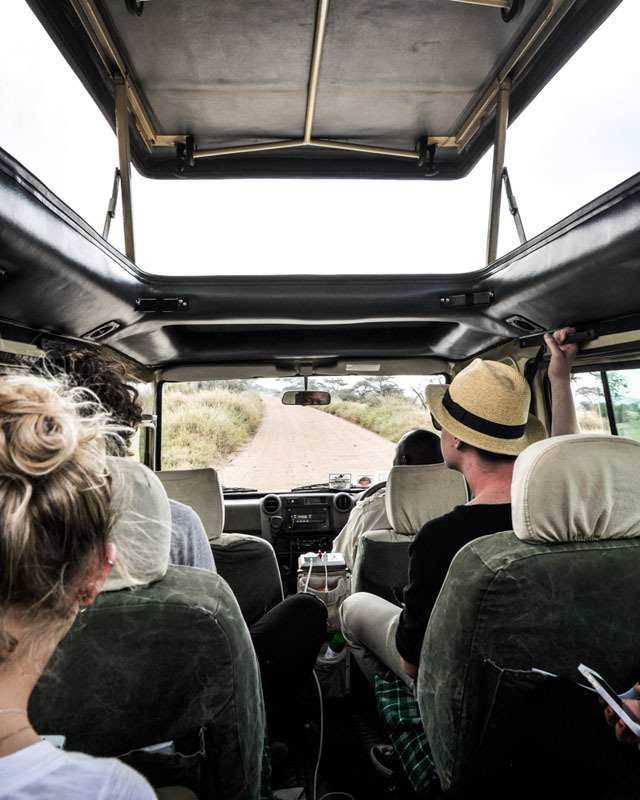 Most days we were enjoying our mission to see Africa's big five - Lions, Rhinos, Elephants, Buffalos and Leopards - from the back of a quite luxurious Safari vehicle, complete with a beverage fridge and snacks galore. 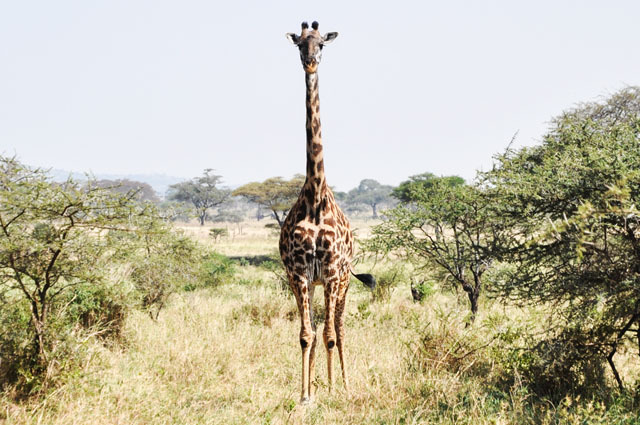 Our safari was not without adventure. 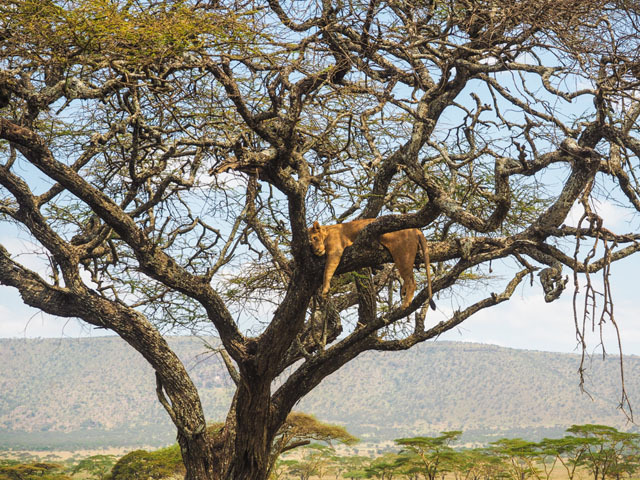 We got so close to a lion lounging in a tree that you could count the hairs sprouting from between its toes. 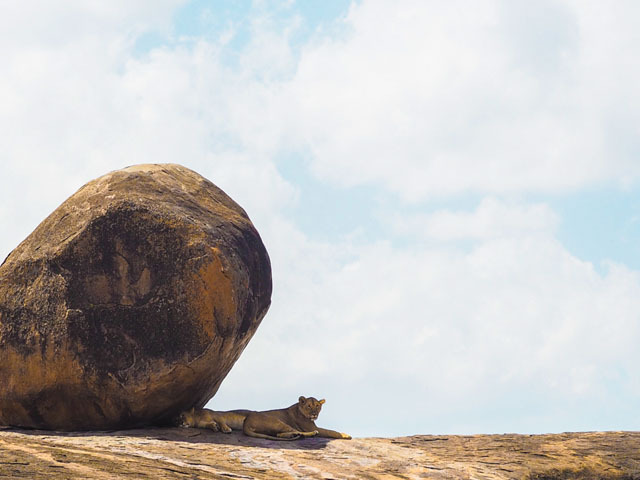 On the same day, we watched a different lion eating her breakfast. 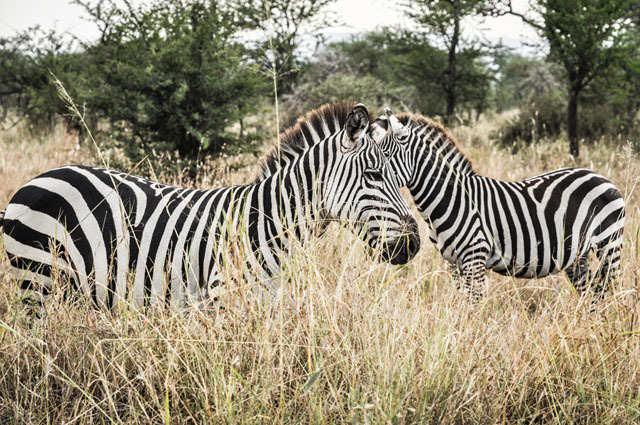 She was on a raw diet - raw Zebra that is. We even met the world's bravest hippo - a bloke so sure of himself, he walked right through a pride of hungry lions at lunchtime and lived to tell the tale. Can you say cojones? 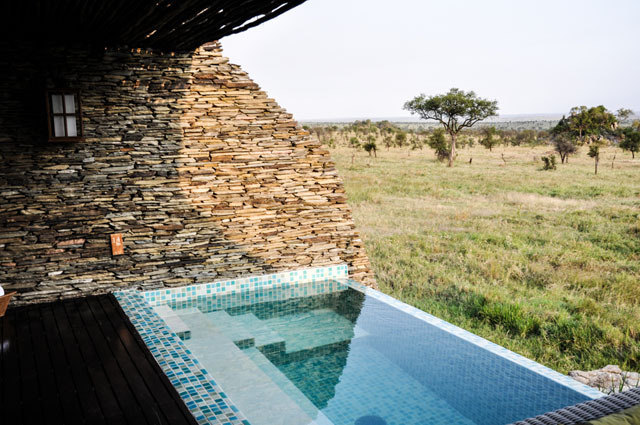 In the afternoons we savoured the remaining daylight by the pool at The Four Seasons Serengeti. 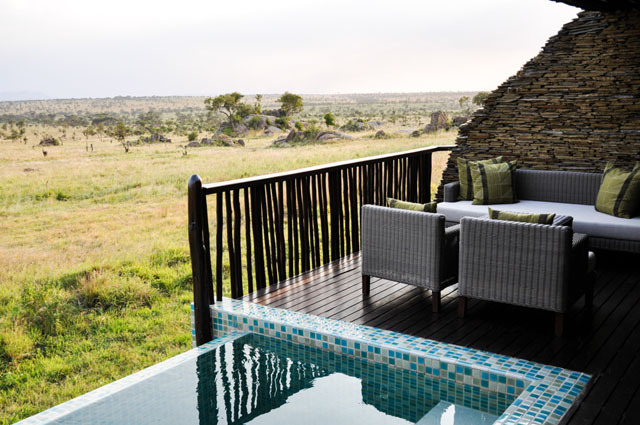 While the view of the elephants drinking and bathing themselves in front of our pool was spectacular, it really was the view of the open Serengeti that made this whole scene so magical and, at some moments, truly unbelievable. 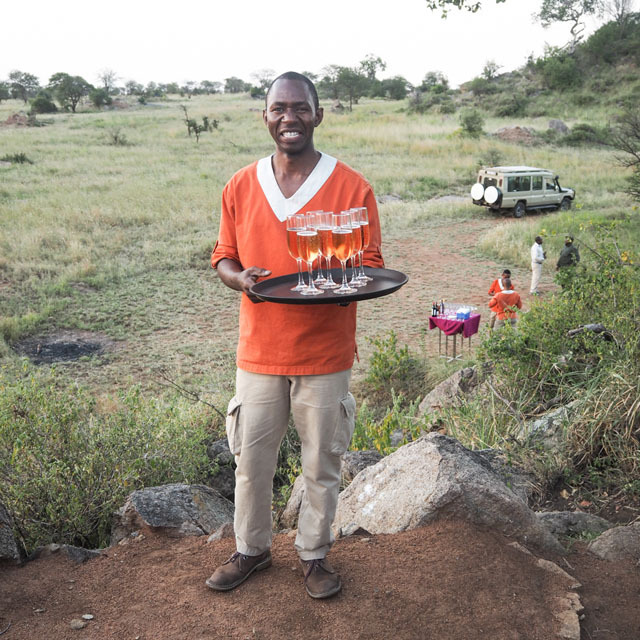 The waiters who helped us day in and day out remembered every drink order, every coffee preference and what times we seemed to prefer one or the other. They seemed to know our minds better than we knew them ourselves by the end of the four days in residence. 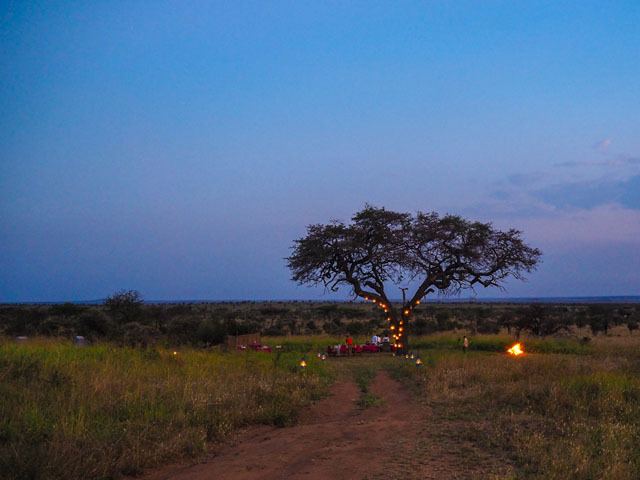 The evenings at The Four Seasons Serengeti were some of the most magical moments. 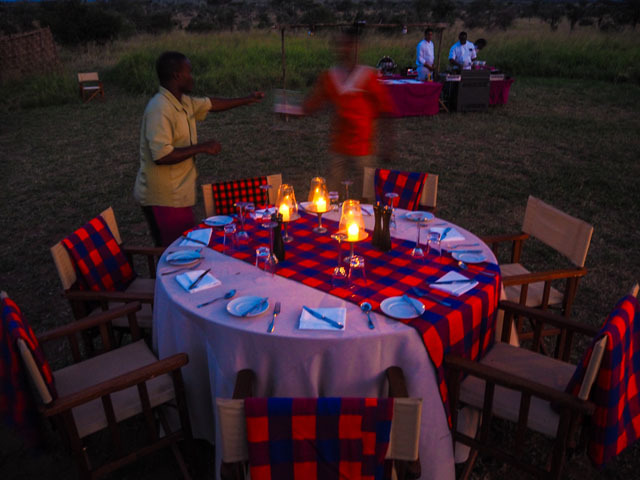 Our first night we enjoyed dinner in the Boma Grill, where guests take part in an authentic African feast and the Masai showcase traditional dancing for one and all in attendance. 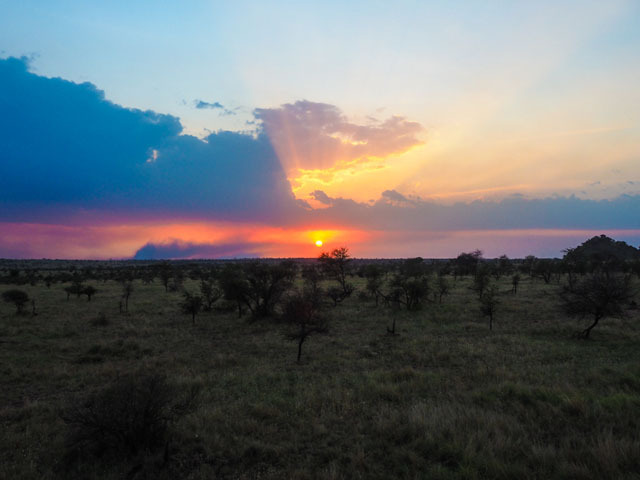 The second night we were taken off property to enjoy dinner in the bush. This, folks, was a favourite moment, if I had to choose just one. 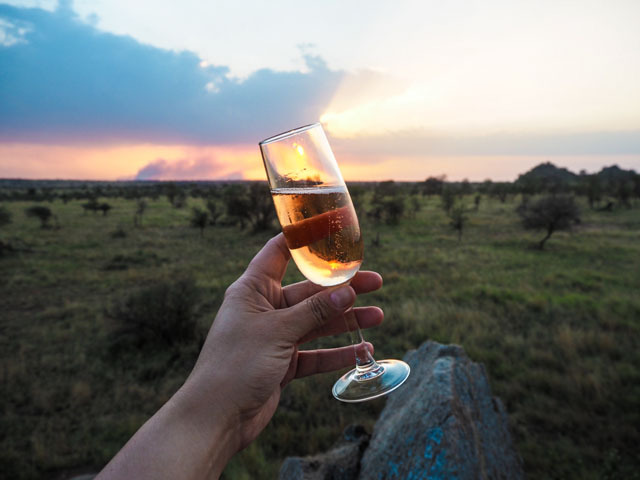 We had champagne and appetizers atop a rocky hill that had beautiful views of the Serengeti sunset. 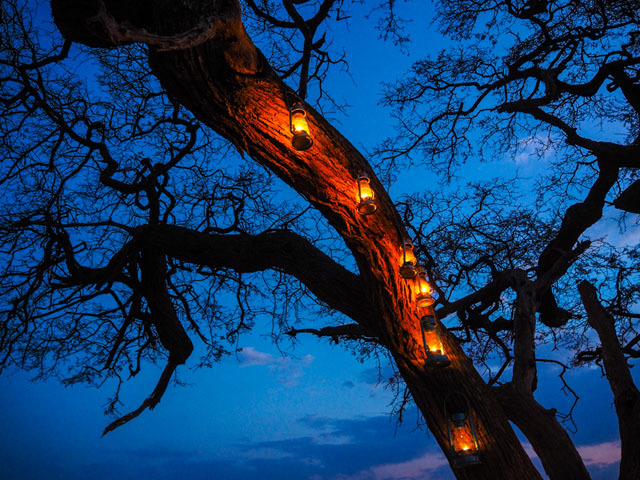 Dinner was then served next to a roaring fire and lit with candles, with accompanying light streaming down from a lantern lit tree. We were quite literally in the middle of the wild. Food was served while men with the appropriate weapons stood guard. 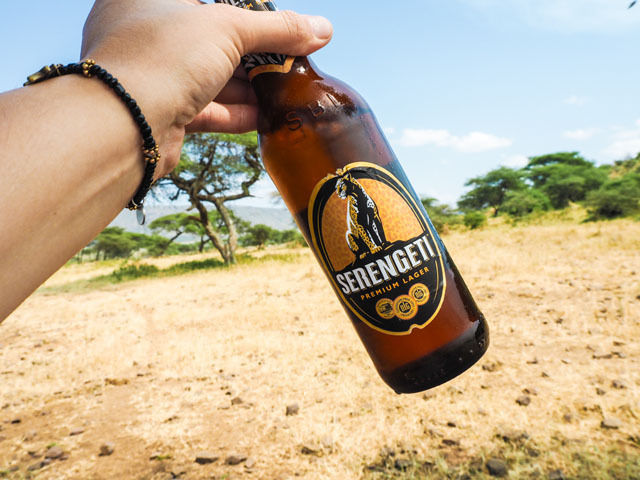 I suppose one wouldn't want to be eating delicious smelling food in the middle of the Serengeti without protection on hand. 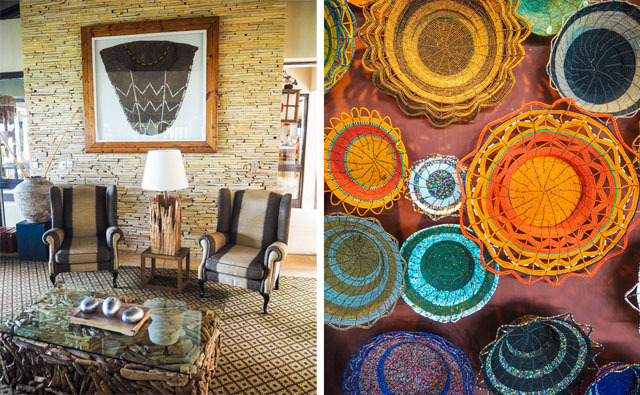 On our third night we were entertained in Four Seasons Serengeti Villa and on our final night in residence we ate pool-side at the Maji Bar and Terrace. In short- food here is plentiful and delicious. 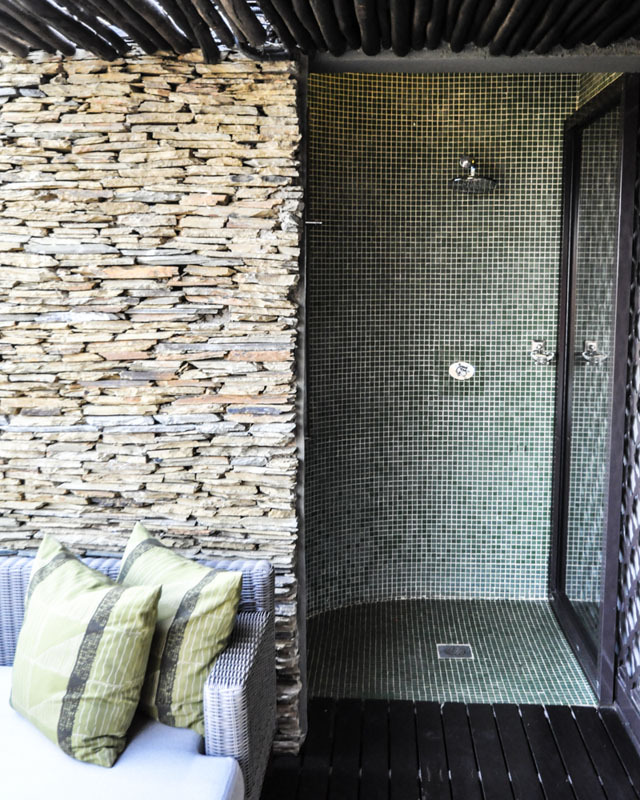 You will be spoilt for choice, which was a pleasant surprise for a resort literally in the middle of nowhere. 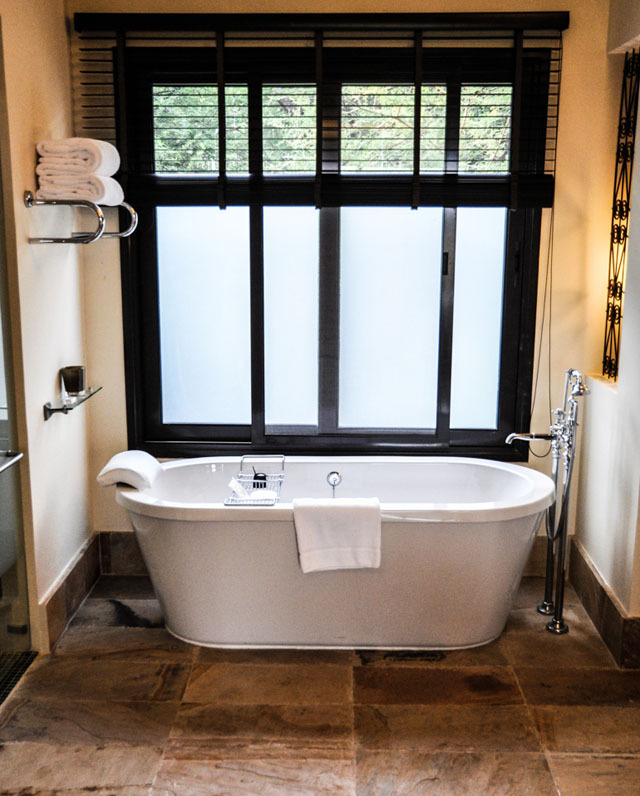 This is five star living at its finest and well worth the amount of travel hours it took to get there in the first place - a tale for another time. There wasn't a moment I'd change, a rarity for me these days as I get older and pickier. 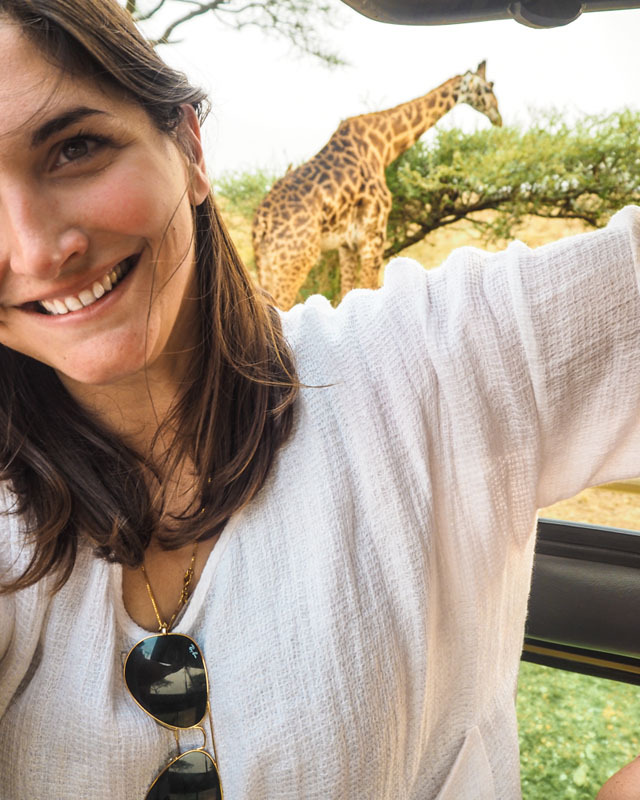 The whole trip was one gigantic pinch-me moment and I couldn't help but feel this was a world created for luxury adventure. It's only now, stepping away from it all, that I've seen that the real luxury was in being able to enjoy this land as it is. It's not something that's been manufactured for tourism. It's not a world where the animals are managed and the plants are well manicured and kept under control. 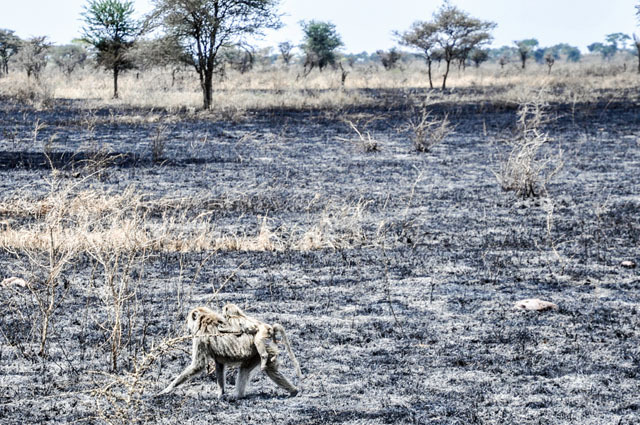 This is the true wild world that is left open for us all to explore. Sure, there's a five star resort in the middle of it all that, as strange as it sounds, somewhat grounds you at the end of the day and reminds you of the world you come from. 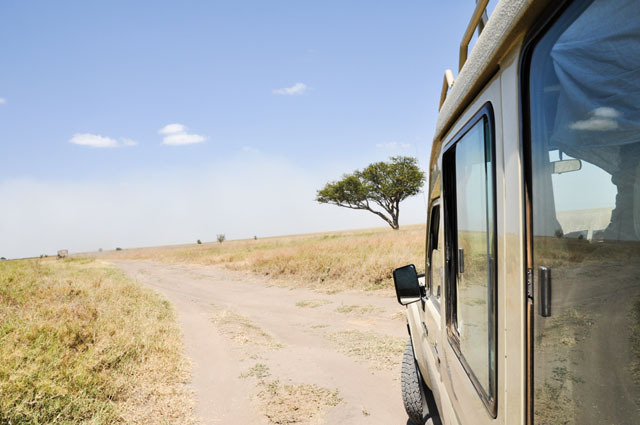 But, as the Masai warrior leads you back to your room every night, while you are tired and a little overcome with emotion from the day, you feel as if you are exactly in the place you are meant to be. You lose all perspective on how you got there, but you feel safe, lucky to be alive and eager to experience it all over again the next day. And then, you find yourself boarding a plane to leave and you have an ache in your heart that feels entirely new. 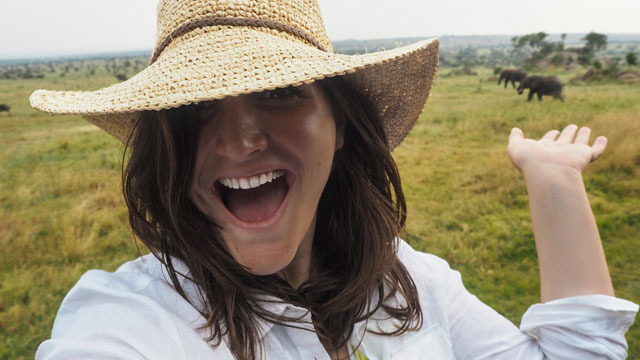 For me, I had discovered a whole new beautiful land that captured my imagination, my heart and my future. 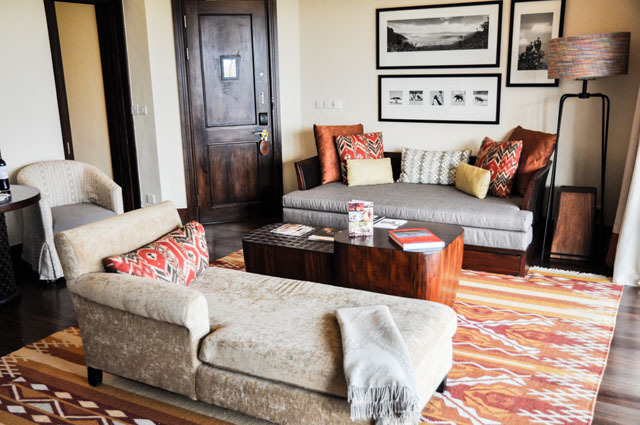 I will be back and I will return to The Four Seasons Serengeti with the next generation. This is something that everyone, who is able, should experience. And my dream is to relive it all one day with a son or daughter by my side. 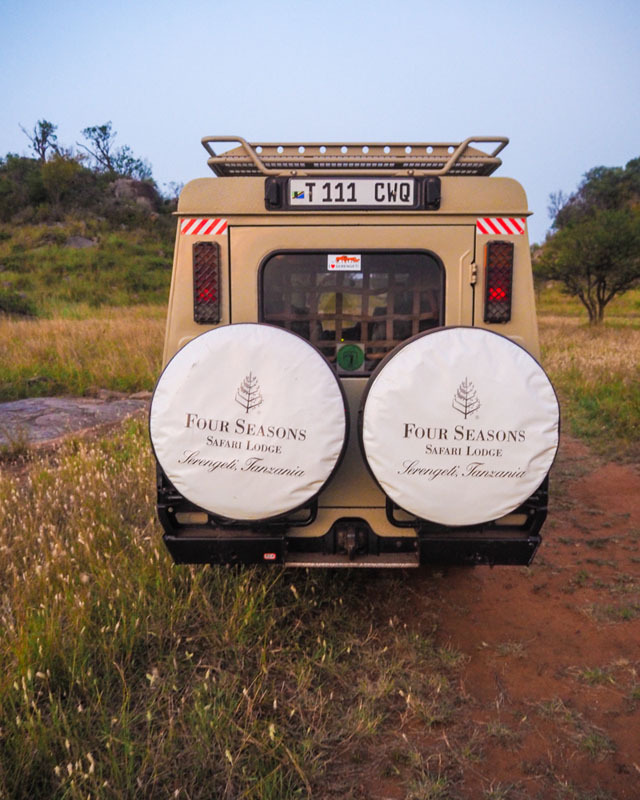 Fashion Foie Gras stayed as a guest of the Four Seasons Serengeti.